The greatest failing of non-Austrians theories of macroeconomics, it's been said, is that they lack a robust theory of capital. F.A. Hayek sought to fill out the theory of the business cycle with an impenetrable one, and the result was this remarkable 1941 treatise. It took him many years to write. 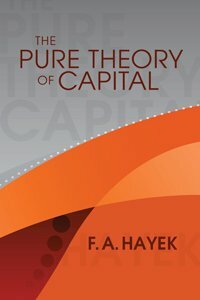 It is surely his most detailed work in economic theory. In this pamphlet, McCloskey reveals what she sees as the secret sins of economics (there are two) that no one will discuss. In her view, these sins cripple economics as a scientific enterprise. She writes with passion and an unusually wide scope. This collection of essays introduces the reader to the economic thought of Henry Hazlitt. The Wisdom of Henry Hazlitt contains essays discussing Hazlitt's life, philosophy, career, and unwavering defense of the free market. The book offers an extensive and up-to-date panorama of Industrial Organization aimed at advanced undergraduates. The analysis of market interactions, business strategies and public policy is performed using the now standard framework of game theory. In his lecture, Professor Marschak has set himself the task of incorporating the new developments in monetary theory and presenting them in a logical, precise and rigorous manner. He reveals the precise nature of the new analytical equipment.